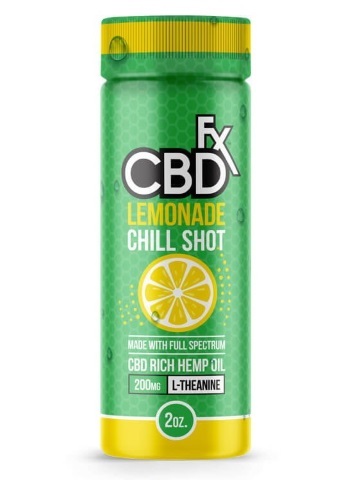 The CBDfx Chill Shot is a delicious, ready to drink lemonade beverage with 20mg of full spectrum, organically grown CBD and 200mg of L-Theanine. L-Theanine is a powerful amino acid found in green or black tea. Like many other herbs, L-Theanine works to improve your body’s natural defense systems. Our CBD drink is best if served cold. USP water, natural citric acid, soy lechitin, sodium chloride, sucralose, sodium benzoate, gellan gum, food grade ethanol, CBD rich hemp extract. Can “hemp energy drinks” get you high? First of all, the idea of a ‘hemp energy drink’ is a bit of a misnomer. These so-called CBD energy drinks don’t give you the same kind of jittery, caffeine-like energy you might be accustomed to. In fact, many people report that the effect is more like a calm focus rather than a boost of raw energy. And secondly, NO — CBD is a compound that is totally distinct from THC, the compound associated with feeling “high”. Although you may find that you are less stressed or experience pain relief, there is no impairment or feeling of being “high” that comes along from dosing with CBD. 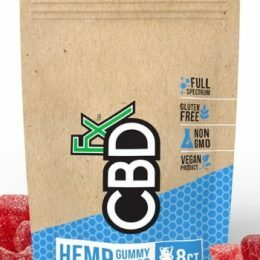 What are some CBD hemp drink benefits? Understand that CBD is still in its relative infancy in terms of being understood and thoroughly researched by the medical and scientific communities. Therefore, we can’t make any claims about what CBD will or won’t do for you. However, there is an abundance of research showing some extremely promising initial results in regards to its potential as an anxiolytic (anti-anxiety) option; as a potential part of a pain management scenario; as having the possibility of aiding those with seizures and epilepsy; and much more. Our Knowledge Hub contains more details about what the research currently shows in regards to CBD. Can you drink CBD and still get the same benefits as vaping? Absolutely. One of the best things about CBD — and the hemp plant in general, really — is the flexibility that comes along with it. CBD can work when vaped, eaten, applied to skin, drank, or taken as a tincture. That’s why we offer so many different CBD products at CBDfx: our goal is to help people find their perfect method for dosing CBD each day (or as necessary). Refresh your day with a delicious Chill Shot that also grants you 20mg of full spectrum, organically grown CBD. The only other active ingredient? 200mg of L-Theanine, an amino acid that has been shown to lower the body’s stress and cortisol levels. Forget about drinking over-caffeinated “energy drinks” that make you feel jittery — sometimes it’s easier to focus when you chill out, not amp yourself up more. Our CBD Chill Shots are ready to drink, and are even better served cold. We spent a lot of time formulating the perfect Lemonade flavor to make getting your daily dose of CBD a refreshingly delicious treat. And best of all, CBDfx is committed to bringing you products that pass our incredibly rigorous standards of quality and sustainability. We invite you to view the lab reports on every batch of products we produce, and the hemp used to make your Chill Shots will always come from 100% organic plants.